Update: We’d like to congratulate Simon Yates for his maiden Grand Tour win at the Vuelta Espana 2018! In August, it’s time for the third cycling Grand Tour of the year – the Vuelta Espana. Most procycling fans knows a lot about the Tour de France but much lesser is known about the Vuelta Espana. This year, the Vuelta Espana is even more important especially for the pure climbers. 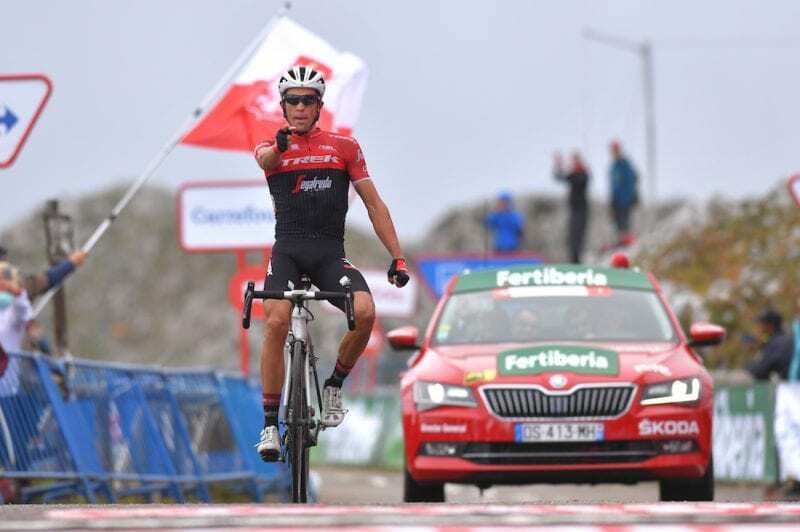 As the World Championship Road Race will be held over a very hilly course in Innsbruck, Austria, the mountainous Vuelta Espana route will serve as a very important lead up race for the pure climbers to fine tune their form. So, let’s take a look at some of the commonly asked questions about the Vuelta Espana. The Vuelta Espana is also known as the Tour of Spain. It’s the third biggest annual professional cycling race held over 3 weeks from late August to mid September. Together with the Tour de France which held in July and Giro d’Italia held in May, they’re called the Cycling Grand Tours. The first organizer of this race was the newspaper Informaciones. 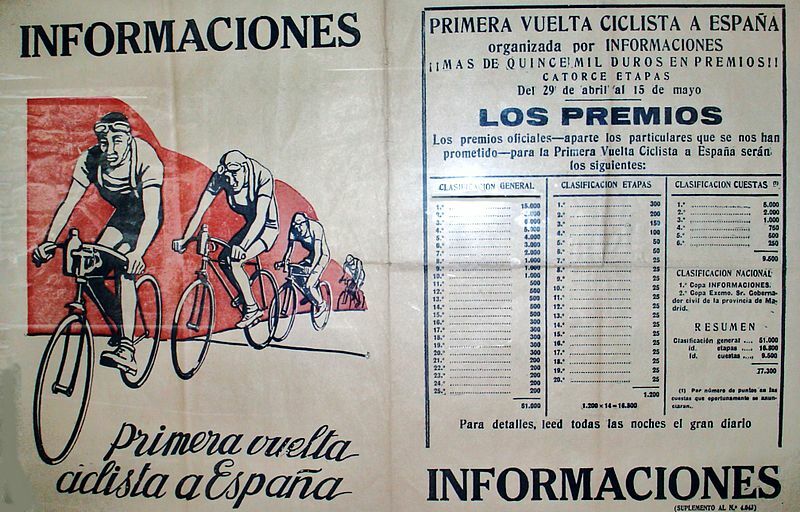 Inspired by the success of the Tour de France and Giro d’Italia, they wanted to organize their bike races around Spain to boost their newspaper circulation and sales. The Vuelta Espana was first started in 1935 with only 50 riders riding for 3411km/2120mi around Spain over 14 stages. Throughout its history, it wasn’t held on a few occasions from the 1930’s to 1950’s. It’s been held every year since 1955 and 2019 will be its 74th edition. As the Vuelta Espana grew in popularity among the professional peloton, it was intentionally moved to late August from 1995 onwards to avoid a direct competition to the Giro d’Italia. Prior to 1995, it was held in April. In the 1940’s and 1950’s, there were several editions held in June, August and September. It’s now the last Grand Tour of the year after the Giro d’Italia in May and the Tour de France in July. The Amaury Sports Organization (ASO/9 owns the Vuelta Espana. ASO is owned by French media group EPA (Editions Phillipe Amaury) which was founded by Philippe Amaury. It also owns other professional cycling races such as the Tour de France, Criterium du Dauphine, Paris-Nice, Tour of California, Liege-Bastogne-Liege, Paris Roubaix and the La Course for professional women cyclists. It’s the Angliru (5,161ft/1,573m) situated in Asturias in northern Spain. The Angliru is right up there with the Montirolo and Zoncolan use in the Giro d’Italia and Alp d’ Huez and Mont Ventoux in the Tour de France. This narrow and winding climb is 12.6km long with an average gradient of 10.1% and the steepest section is 23.5%. The first 5km is manageable for the riders with an average gradient of 7.6%. This is followed by a false flat for about 1km. What makes this climb exciting is the steepest sections come at the second half of the climb. The last 6.6km with an average gradient of 13.1%. The steepest section is 23.5%, 3km from the summit. It’s then followed by 2 other steep ramps at 20% and 21.5%. Alberto Contador won the 2017 stage 20 to Angliru, just a day before retiring at the end of the Vuelta Espana. Update: I’m happy to be proven wrong and witness a very open Vuelta Espana this year. 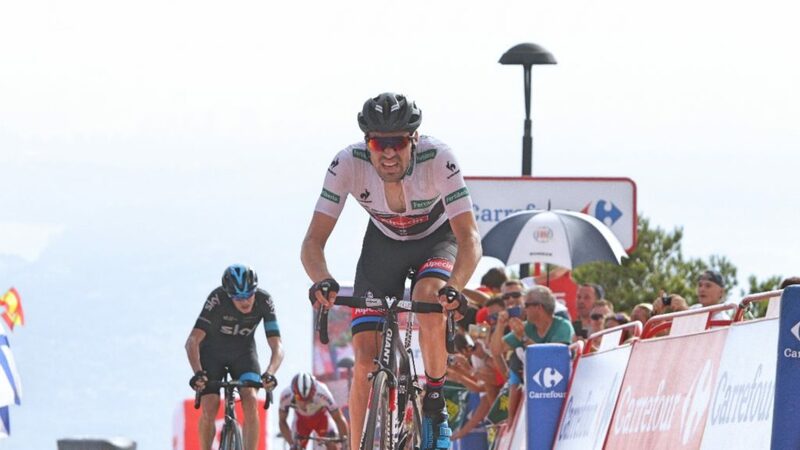 The Vuelta Espana favors the pure climbers as there are 9 summit finishes, especially Stage 20 which has 6 climbs and almost 4,000m/13100ft of climbing in just 105km/65mi. 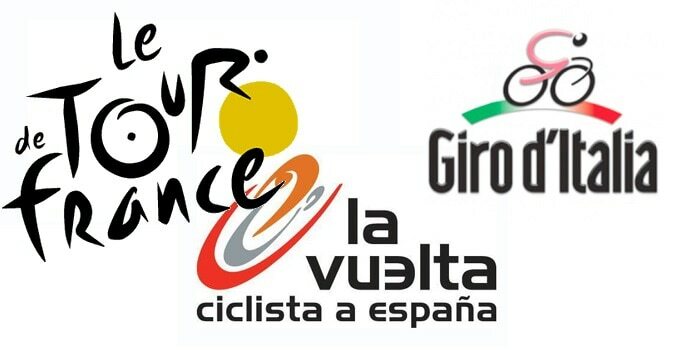 Here are my top 3 favorites to win the Vuelta Espana, in no particular order. Fabio Aru, already a Vuelta Espana winner in 2015, he’ll be looking to add a second Grand Tour win to his palmares. Aru had a disastrous Giro d’Italia this year, skipped the Tour de France and looks to have discovered his form for the Vuelta. 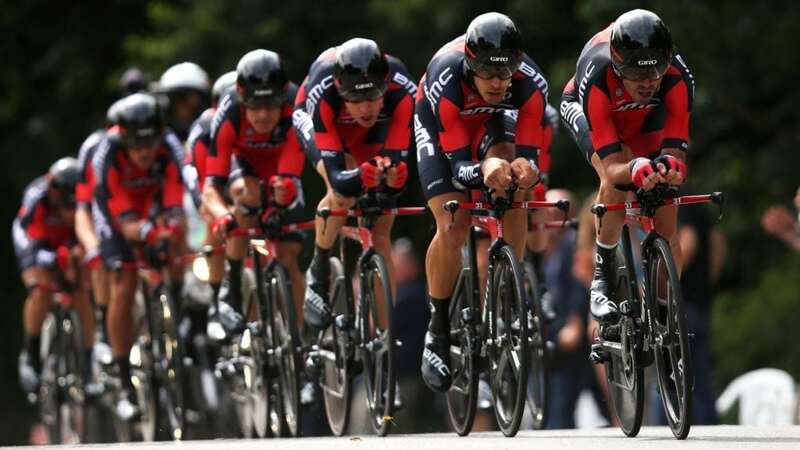 Richie Porte, crashed out in Stage 9 of the Tour de France in consecutive years, the Vuelta Espana represents Porte’s and BMC’s last shot at winning a Grand Tour since Cadel Evans won the Tour de France in 2011. Nairo Quintana, the 2016 winner is looking to make amends after a below par, 10th place finish at Tour de France. The only positive from the Tour de France is his stage win at the Alp d’ Huez. It’d be interesting how Movistar again juggles with its 3 team leaders strategy with Alejandro Valderde and Mikel Landa also on board. Traditionally, the Vuelta a Espana starts and ends in Spain. Each year, different host cities are selected for the organizers to showcase Spain to the world. There are 3 exceptions; in 1997, 2009 and more recently 2017 where the race started in Lisbon (Portugal), Assen (Netherlands) and Nimes (France). In 2018, the race starts in Malaga with a 8km Individual Time Trial and ends in Madrid. For the past 10 years, the Vuelta Espana always starts with a Team Time Trial, except for 2009 and 2018 which is an Individual Time Trial. The race always ends in Madrid since 1994. In 2018, there will be 21 stages covering a total distance of 3254.7km. Since its inception in 1935, the Vuelta Espana has spanned over 1,419 stages up to 2017. The least stages were held in 1935 with only 14, while the most stages were 24 in 1947. Since 1999, the Vuelta Espana has always had 21 stages. 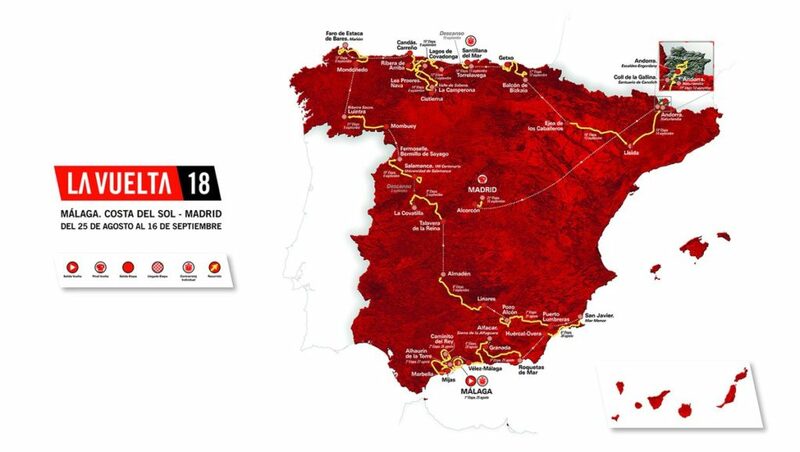 There will be 22 teams competing in the Vuelta Espana, made of 18 World Tour teams and 4 Pro-Continental teams. The World Tour teams are automatically invited while the Pro-Continental teams are competing as a wildcard team. Wildcards are selected based on the discretion of the organizers. This year, the wildcard teams consist of Burgos-BH (Spain), Caja Rural (Spain), Euskadi Basque Country (Spain) and Cofidis (France). Traditionally, wildcard teams are the locally registered teams but there’s an exception for Cofidis as they’re a major sponsor the race. Each team will field 8 riders from 2018 onwards. Daniel Moreno is the currently active rider who has started the most Vuelta Espana with 11. He finished all of them. Jose Vicente Garcia started the Vuelta Espana 15 times and finished 14 of them from 1997 to 2011. There are 4 competitions in the Vuelta a Espana. The leader of each competition will wear a different jersey as compared to their team’s jersey. The primary competition is the General Classification. The leader of the General Classification wears the Red Jersey is also known as maillot rojo. He’s leads the race with the least amount of total cumulative time. The general classification jersey has a colorful history. It’s been in orange, white, yellow and gold. From 2010 onwards, the organizers made it Red to suit its sponsor, French supermarket chain Carrefour whose corporate logo is in red and blue. The leader of the Points Classification wears the Green Jersey. He’s the rider who amassed the most points across both intermediate sprints and finish. Unlike the Tour de France where the Green Jersey scoring system is favored towards the sprinters, the Vuelta Espana is slightly different. Equal points are awarded on every stage regardless whether it’s a flat sprint or summit finish. 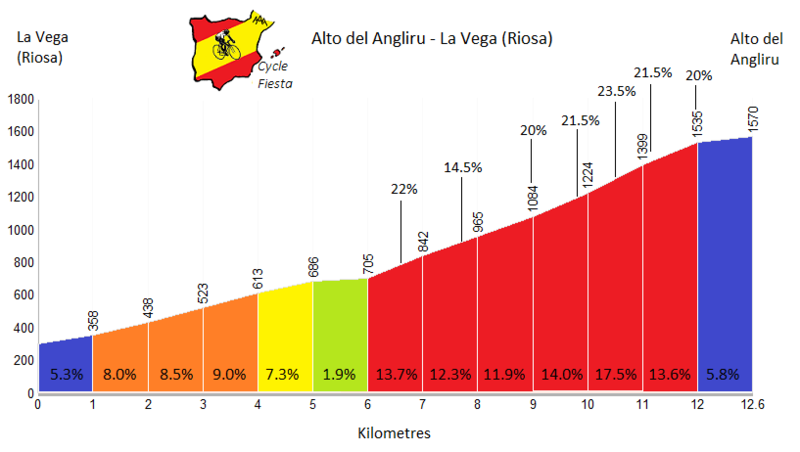 Since the Vuelta Espana is generally mountainous, it usually favors the climbers. In the past 10 editions, only 2 pure sprinters have won it. Mark Cavendish in 2010 and Andre Griepel in 2009. The leader of the K.O.M. Classification wears the white with blue polka dots jersey. The highest altitude point of the Vuelta Espana is dedicated to Spanish rider, Alberto Fernandez who was killed in a car accident in 1984. It’s similar to the Cima Coppi in the Giro d’Italia. In 2018, the highest point is the summit finish on Stage 19 at Col de la Rabassa in Andorra. It sits at 2015m/6610ft altitude. The White Jersey is not to be confused with the white jersey in the Tour de France (Best Young Rider). The wearer of this jersey has the best combined ranking in all 3 competitions mentioned above. Rider A is 5th in general classification, 10th in points classification and 3rd in KOM classification will have 5+10+3=18 points. Rider B is 7th in general classification, 12th in points classification and 2rd in KOM classification will have 7+12+2=21 points. The rider with the lowest total points will wear the White jersey. The rider who wears the Red earns €10,500 each day. The Green and Polka Dot jersey wearer earns €2000, while the White jersey wearer earns €1400. At the end of the Vuelta, the team’s accumulated prize money will be split among all the team members and staffs who were there throughout the 3 weeks. By tradition, the winner of the General Classification don’t pocket the prize money himself. Spanish rider Roberto Heras has won the Vuelta Espana 4 times in 2000, 2003, 2004 and 2005. Alberto Contador (2008, 2012, 2014) and Tony Rominger (1992, 1993, 1994) both won 3 times. Alex Zulle who has won twice (1996, 1997) holds the record of the most leader’s jersey with 48, followed by Roberto Heras at 34. 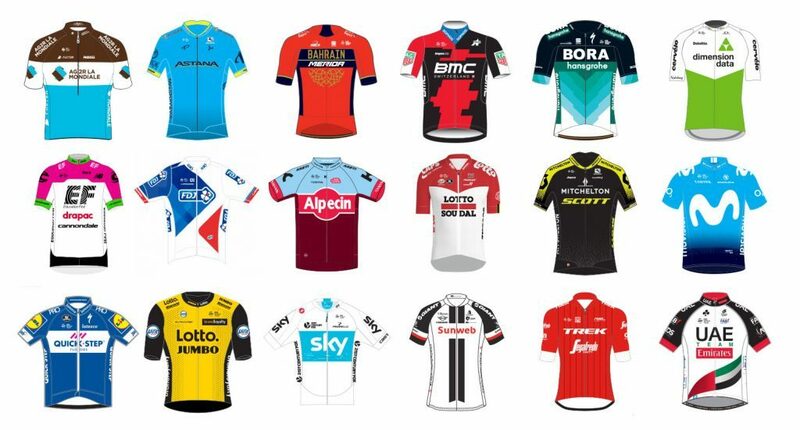 Chris Froome who won in 2017 has 20 leader’s jersey to his name. In total, 24 Spanish riders has won the Vuelta Espana 33 times in 72 editions. Only 3 riders from outside of Europe has won the Vuelta Espana. They’re Nairo Quintana and Lucho Herrara (Colombia), Alexandre Vinokurov (Kazakhstan) and Chris Horner (USA). Delio Rodriguez won the most stages with 49, followed by Alessandro Petacchi with 20 and Rik van Looy with 18. Spanish riders have won a total of 546 stages as of 2017, way ahead of the Belgians (218) and Italians (178). This trend is also observed in the Tour de France and Giro d’ Italia where French and Italian riders won way more stages than other countries. 1996 was the exception where no Spanish rider has won a stage in the Vuelta Espana. The biggest winning margin was 30 minutes and 8 seconds, set by Delio Rodriguez over Julian Berrendero in 1945. The narrowest winning margin was only 6 seconds by Éric Caritoux over Alberto Fernández Blanco in 1984. Post year 2000, the biggest winning margin was set by Denis Menchov over Caslos Sastre at 3 minutes 31 seconds in 2007. In 2011, Juan José Cobo won the General Classification with only a 13 seconds advantage over Chris Froome. American Chris Horner, riding for the Radioshack-Leopard team is the oldest Vuelta Espana winner at 41 years old and 328 days when he won in 2013. Spanish rider Angelino Soler, riding for the Faema team was the youngest Vuelta Espana winner, at 21 years and 168 days when he won in 1961. In modern procycling (post 2000), winning 2 back to back Grand Tours is almost an unthinkable task. The Tour de France finishes in late July and the Vuelta Espana starts 4 weeks later. 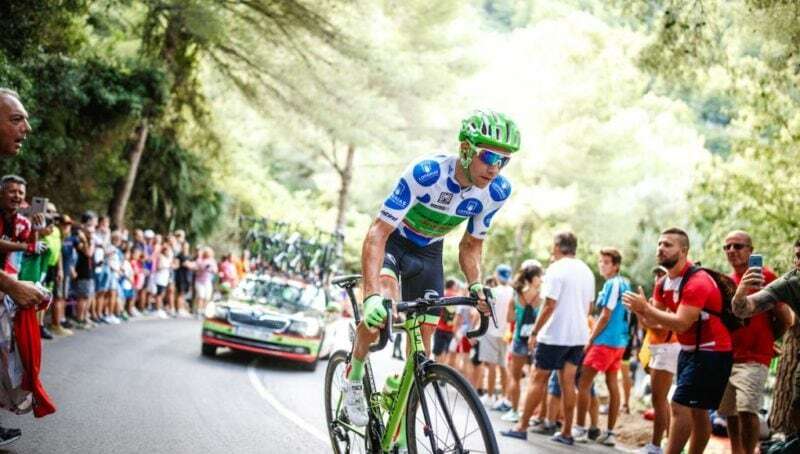 The 4 weeks period is generally considered too short for a rider to recover from their Tour de France win and seriously challenge for the Vuelta Espana. 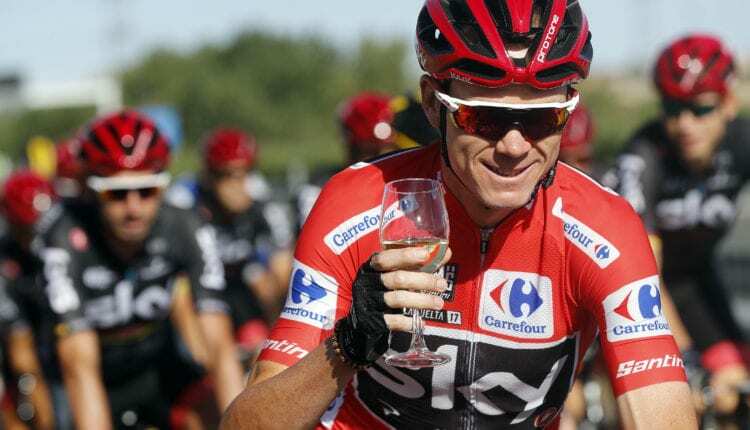 Chris Froome achieved the amazing feat by winning the 2017 Tour de France and followed that up with winning the Vuelta Espana. In 2008, Alberto Contador won the Giro d’Italia in May and the Vuelta Espana in September. He skipped the Tour de France that year.